Nainital is a mesmerizing hill station in the dearly titled “Lake district” of Kumaon Hills in the Nainital district of the north Indian state of Uttarkhand. This tiny gem of the Himalayas is cozily snuggled in the outer foothills of the Himalayas. 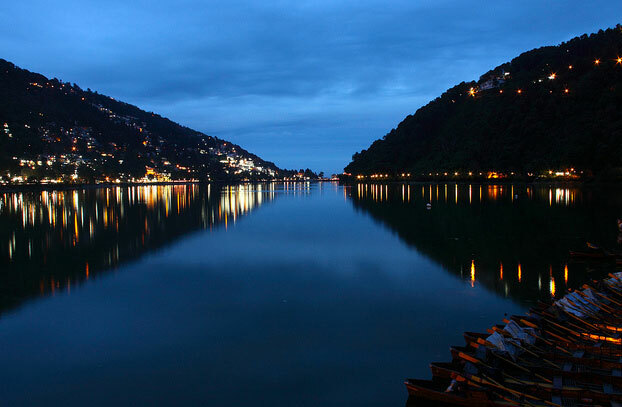 Named after its most popular attraction, the Naini Lake, a pear shaped water body, it is a literal translation to “Lake of Eyes”. Legend claims that the lake is the site where the goddess Sati’s eyes fell when her grief-stricken consort, Lord Shiva, perform the celestial dance of destruction called “Tandava” whilst carrying her charred corpse in his arms. At 2,084 m Nainital has no dearth of sights, sounds and surprises. From the adventurous back-packer to the reclusive bookworm, every traveler can find something to suit their tastes and soothe frayed nerves. 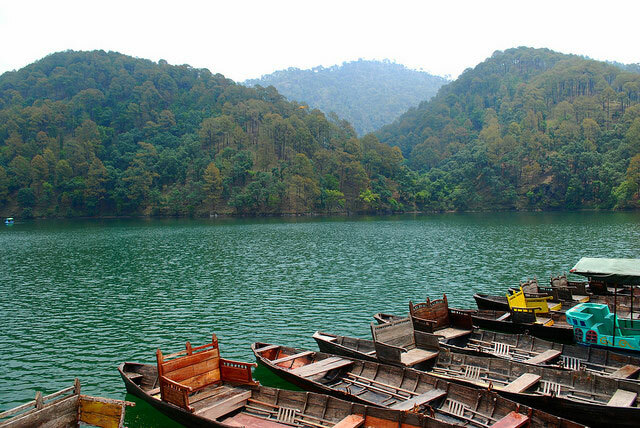 Nainital has numerous lakes, temples and irreplaceable wonders that cannot be found elsewhere in India. One of the most famous attractions in Nainital is its very namesake. The Naini Lake is located in the heart of this Himalayan attraction. The northern head, “Mallital”, and the southern end, “Tallital” are connected by the “Lake bridge”. Interestingly, this bridge is the only one of its kind in the world-it has a post office on it. The largest lake in Nainital is aptly named after the second Pandava brother, Bhima, from the Mahabharata who had superhuman strength. A 17th century temple complex called Bhimeshwar is present on the dam that runs for 12 m on one side of Bhimtal. Literally meaning “Seven lakes”, this lake is actually an aggregation of seven lakes, each having its own name. This “Trowel Lake” is very popular with anglers and is also a favorite of hikers. Naukuchia Tal: This nine-cornered lake carries a legend that if one can view all nine of its corners in one glimpse, one can disappear in a cloud of smoke. A natural garden containing six caves and a musical fountain, this is located near the Kumaon University Campus. Snow view: It is located on the summit of Sher-ka-danda ridge. Easily accessible by cable cars, it offers a spectacular view of the surrounding Himalayas. At an elevation of 2, 615 m, this mountain bestows trekkers and pony-riding travelers with a breathtaking panoramic view of the pristine Himalayan ranges. “Dorothy’s seat” is a terraced platform atop Aryapatta hill at 2,292 m. It is a stonework built as a memorial to Mrs. Dorothy Kellet, Col. J. P. Kellet’s wife. St. John in the Wilderness: Located in “Mallital”, this church was established in 1844. It carries a brass plaque with the names of the victims of the landslip of 1880. This was previously called “Old Secretariat” when Nainital was the summer capital of United Provinces. Gurney House: Renowed hunter-turned conservationist Jim Corbett, who played a huge role in establishing Jim Corbett National Park had his residence built from the materials of his previous house which was destroyed in the landslip of 1844. Though privately owned, visitors can take a tour of Corbett memorabilia. One of the two altitude zoos in India (the other being in West Bengal), this houses various species of animals which are arranged according to the altitude of their habitat. Some of these include the snow leopard (highest location), Siberian tiger, goat antelope “ghooral” and many birds including the “Kaleej” pheasant. 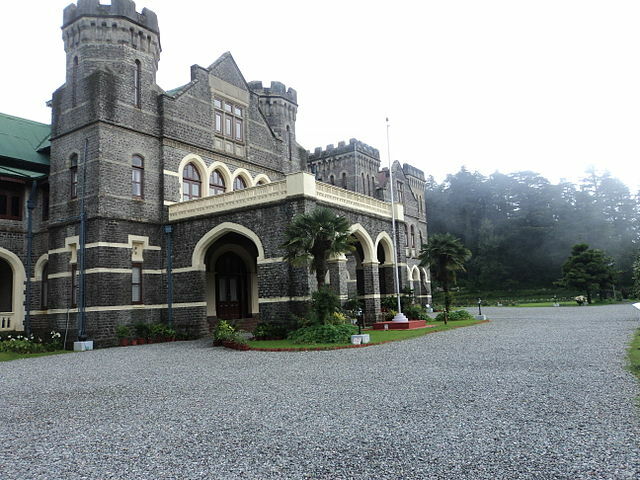 Also known as “Raj Bhavan”, this was built in 1899 by architect F. W. Stevens. It is two story high and has 113 rooms, a swimming pool, golf links and a large garden. 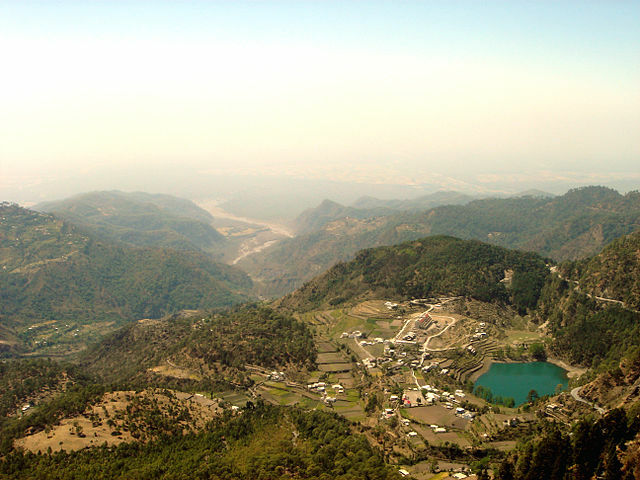 The nearest airport to Nainital, as well as Kathgodam, is the Pant Nagar Airport in Uttarkhand. For foreign travelers, the nearest international airport is the Indira Gandhi International Airport in Delhi, about 300 km away. Roads are good and taxis are easily available. Kathgodam is the nearest railway station to Nainital, which is a 1 hour drive away. The railway station is connected to other major cities in the country and run on regular schedules. 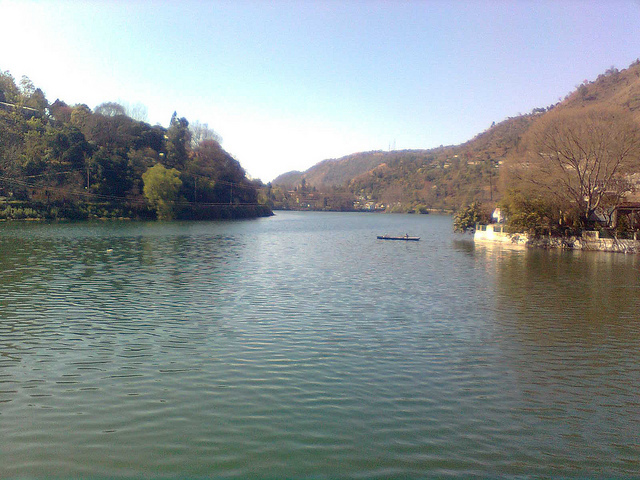 Nainital is soundly linked to other cities. Delhi (320 km) is the main port of entry and is a 9 hour drive on NH87; another route can be opted from Kathgodam which is 1 hour away from Nainital. Taxis, rental cars and buses for reaching Nainital are all easily available. Buses are available from Anand Vihar ISBT. Passionate about travelling, Rohit finds great pleasure in contributing to the curious minds of globe trekkers, inviting them to indulge in this little jewel of the Himalayas- the glorious hill station of Nainital. He blogs regularly at www.transindiatravels.com.